Recently, a Jesuit friend expressed to me how helpful my book on Saint Ignatius’ writings had been to him, and what a shame it was that it hadn’t sold more copies. You may be surprised to know that it’s not often that I hear such things, especially from Jesuits about Jesuit things. There seems to be a fear among some Jesuits that if they compliment your writing, you’ll get a big head or something. That’s one theory, anyway. So, when a fellow Jesuit goes out of his way to not only read your book, but to tell you about it, you take note! His words reminded me that often I don’t do enough to promote my work. I’m trying to be better about that. After all, as my friend’s words suggest, the whole point of writing a book is in hopes that it might help people. So, what good is accomplished by staying quiet about it?! There are various reasons why I haven’t done enough to promote it in the few years that it has been out. But, now, I no longer have an excuse. And, I have the recent reminder that the sales up until now don’t reflect the quality of the book, or lack thereof. So, here’s my pitch. Please take a first, or second look at the book, and consider if it might be helpful to you, or someone you know. Recommend it to the bookstore at your favorite retreat center. Bring it to the attention of your local Christian bookstore. If a Jesuit can understand and learn new things about Saint Ignatius because of it, maybe you can too! And, then, please write and let me know what helped you (lettinggodfindyou@gmail.com). That could give me some clue as to what to explore in my next book! 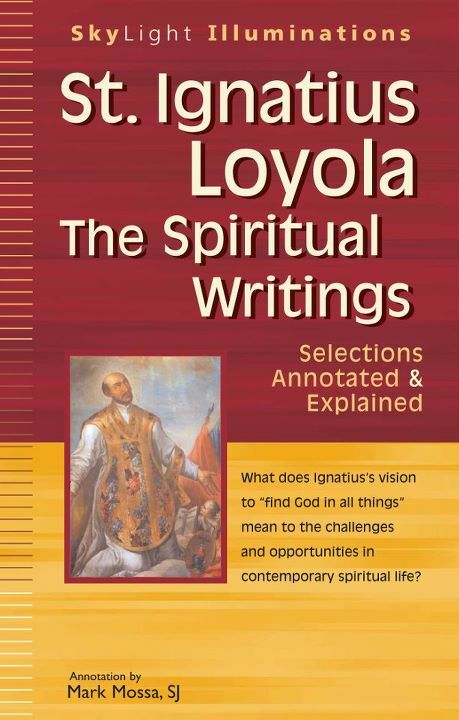 The book, Saint Ignatius Loyola: The Spiritual Writings, provides excerpts from the Spiritual Exercises, the Autobiography of Saint Ignatius and, unlike other books of its kind, also includes excerpts from his letters. Did you know that Saint Ignatius wrote more letter than any of his contemporaries? Worth a look for that reason alone. It also, of course, provides an opportunity to get to know Jesus better. For example, as we approach Holy Week, and contemplate the Scripture readings that bring us to Easter, we might consider Ignatius’ advice: ” . . . to consider that which Christ our Lord is suffering in his humanity, or wants to suffer, according to the passage which is being contemplated, and here to commence with much vehemence and to force myself to grieve, be sad and weep . . . ” (this can be found on page 45). As always, I am most grateful for your consideration, support, readership and friendship. Many blessings as we near Easter!